Good diagnosis will not only make carpet cleaning easy but it will make it more effective since the goal is to remove contaminants and dirt, which have been nestled down among fibers. This is the job of “Carpet Cleaning Marina del Rey” since it has the means and workforce to support all services and cover all needs. The maintenance and effective cleaning of all carpets are not easy processes since appropriate equipment and products are required along with special cleaning teams of experts, who can remove effectively stains, odors and mildew, restore water damage, repair problems and ensure clean environments. We follow standard procedures when we examine the condition of your carpets but we never fail to update our methods, renew our machinery and keep our cleaners well trained and informed about good, effective ecofriendly products and techniques. Each rug demands special treatment and we ought to know which the best methods for their cleaning and restoration are. Thus, you can be sure that your expensive Persian rugs are in the proper hands for their maintenance and each service will be completed with the utmost respect to your investment. Sofas and carpets get stained easily and it is our job to see that blots are removed successfully while fibers and textiles are kept in perfect condition. In fact, we can revive the colors and do an excellent job with upholstery of all fabrics. Stains are not healthy. Bacteria would develop if they are not removed regularly compromising your health. Our business follows the best treatments guaranteeing effective odor and stain removal and despite our heavy schedule we manage to offer same day service and take care of emergencies fast. where we can treat serious damages from fire or water. We follow the best methods promising excellent mold damage cleanup and repair and handle each case individually. Our modern techniques and tools and expertise ensure great services whether you are interested for carpet ortile cleaning. Browse in our site to find out more about our services! When your carpets start losing their softness and getting ever paler colors, it is time for our company to kick in. We are specialists in the removal of stains and odor and in the restoration of carpets and rugs of all makes, ages and sizes. We produce the best results every time. This is because we have a highly experienced team, advanced equipment and safe and potent cleaning products. 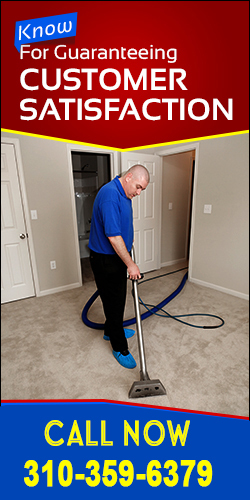 Our residential and commercial carpet cleaning services are designed to be convenient. We process customers' requests quickly and set appointments in the shortest possible period of time. We know that we do not have time to waste especially when it comes to carpet stain removal or another serious situation.